Normally I don’t consider asparagus to be one of the most exciting vegetables, but it always surprises me every time I make it. I enjoy it way more than I think I do. A simple, light sauté leaves it tender, but still crisp and fresh. I find it turns out best when I cook it a bit less time than I think I should. Less is more with this guy! I’ve made the mistake of cooking the hell out of it in the past and it’s something I try not to repeat. Look for firm spears that don’t bend easily. Asparagus doesn’t tend to last very long, so it’s best consumed within 48 hours of purchasing. When you bring it home, wrap the stems in a damp paper towel to extend freshness. In 1 cup of raw asparagus you’ll receive Vitamin K (69.6% Daily Value), Vitamin A (20.2% DV), Folate (17.4% DV), Iron (15.7% DV), Vitamin B1 (12.6% DV), Vitamin C (12.5% DV), 3 grams protein, 2.75 grams fibre, and more. It can act as a diuretic causing you to lose more fluid than normal. Be sure to get enough water throughout the day. 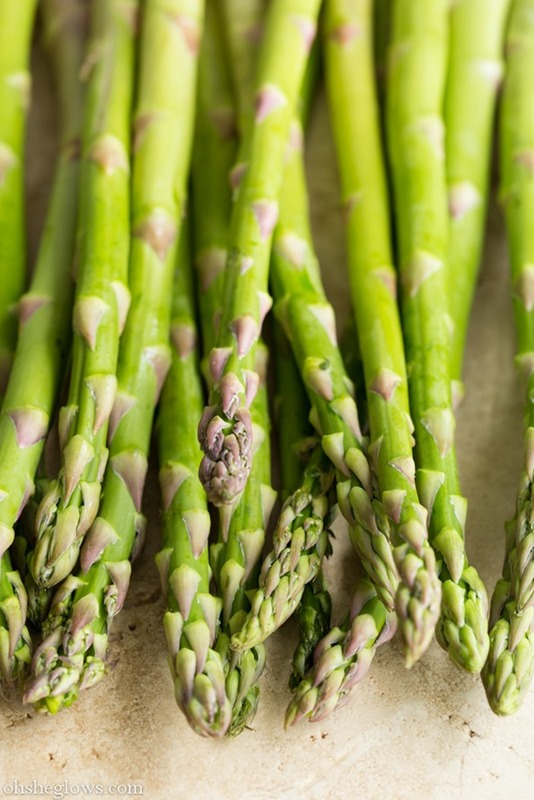 Asparagus is anti-inflammatory thanks to its large composition of anti-inflammatory nutrients. Since spring produce seems to be picking up speed around here, I’m celebrating my first spring recipe of the season today – a warm spring salad featuring asparagus, leek, peas, strawberries, and lots of parsley all tossed in a simple lemon olive oil dressing. Easy, light, and super refreshing. If you’d like to add even more protein than what the quinoa + veggies provide I’m sure it would be nice with some white beans, chickpeas, or French lentils thrown in too. Eric also suggested we sprinkle some seeds on top – pumpkin and hemp – and that was a very nice addition! Keep in mind that the strawberries will turn the quinoa a pinkish hue once tossed. If this is a concern or if you are making this in advance, I suggest adding the strawberries on just before serving. Cheers to crunchy, fresh spring salads! 1. Rinse quinoa in a fine mesh strainer and place into a medium pot. Add 1.5 cups vegetable broth (or water) and bring to a low boil. Reduce heat to low-medium, cover with tight-fitting lid, and cook for 15-17 minutes, or until fluffy and all the water is absorbed. Fluff with fork, remove from heat, and let sit covered for 5 minutes. 2. Meanwhile, grab a very large skillet or wok. Sauté the leek and garlic in the oil for about 5 minutes over medium heat. Season generously with salt and pepper. Add in the asparagus and sauté for another 5-10 minutes or until the asparagus is just tender, but still a bit crisp. Stir in the strawberries (optional), peas, and parsley. Heat for a few minutes and then remove from heat. 3. 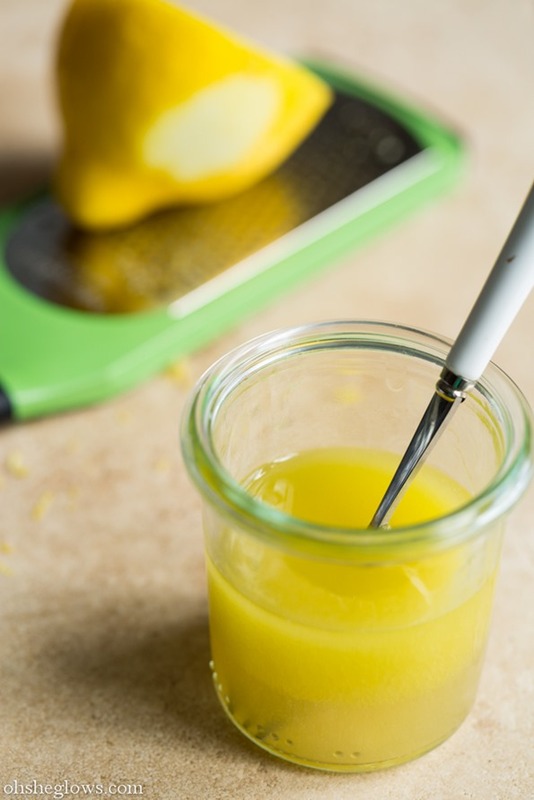 Whisk together the dressing ingredients (olive oil, lemon juice, maple syrup, and 1/4 tsp fine grain sea salt) to taste. Pour dressing onto skillet mixture and stir in the cooked quinoa. Season to taste with salt and pepper & enjoy! This would also be lovely with nuts or seeds sprinkled on top. Oh, I forgot to mention – this is also fantastic served cold too! 8 Things I’m Loving Lately – Spring Edition! Ooh, this looks great! I think I have all of these ingredients too. They were meant for other recipes, but who cares about that. This looks delicious, Angela. I have snow peas in the fridge, so I’m going to use those. I also have green onions, not sure if they can be a substitute for leeks but hope so! 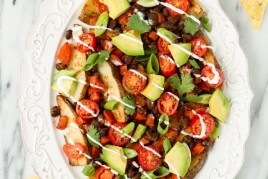 I made your black bean and potato nachos over the weekend and used a cilantro pepper cashew cream sauce. They went over very well!!! Green onions would be a great sub. I can’t wait for asparagus and strawberries to make an appearance at my farmers market. I’m ready for spring recipes and this definitely makes the list! This is perfect and so timely! My boyfriend had the world’s most pathetic asparagus salad this weekend (literally- lettuce and a few spears) and I’d love to redeem the veggie with a more worthy salad this week. Thanks! Love this recipe, especially since it is really not warm at all yet, but also not below freezing either! Love the colours! This looks INSANELY good! I just happen to have some fresh asparagus that I was going to pair with roasted garlic but I’m kind rethinking that now! The last 1-2 weeks leading up to figure competitions, the only veggie I can have is asparagus. You can imagine the smell… LOL! But it’s a high-protein veggie and a diuretic, so it’s like body building super food. It kind of ruined it for me outside of those couple of weeks, but this combo looks too good not to try! I love the leek + strawberry combo. This looks fantastic! I have some asparagus sitting in my fridge right now (that’s definitely been there longer than 48 hours) so I might just have to switch up my plan and make this for dinner. Such a photogenic salad :) I will try this one for sure! I love the photography for this post! 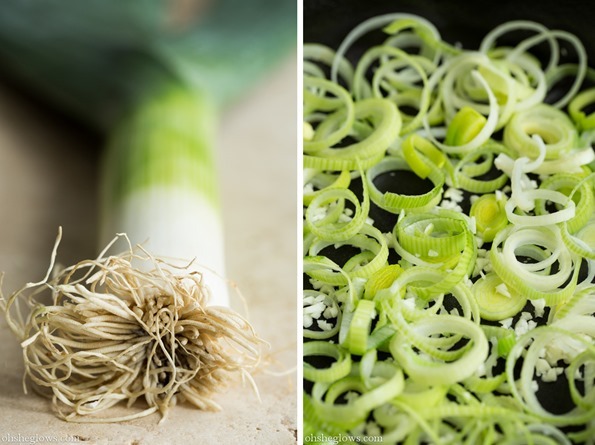 It just so happens that I bought strawberries, peas and asparagus as part of my weekly grocery trip yesterday and it is leek season where I live. Looks like this salad will be my lunch at some point in the very near future! I have always been a tad scared of Asparagus so thank you for the useful tips, you make it slightly less intimidating. I think I’ll have to give it a go! Lovely photography in this post! I will save this recipe for when the strawberries are in season here in Sweden. Shouldn’t be more than a couple of months away now… oh, summer, please arrive soon! This looks delicious! I love asparagus, its a sure sign that spring is here. 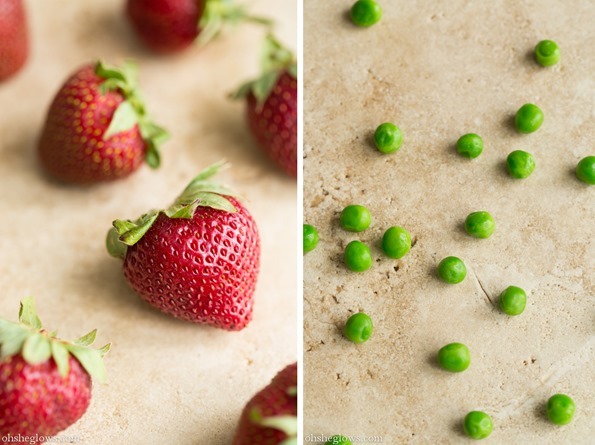 I really like the idea of combining it with strawberries and peas to give it a spring feel. I absolutely love salads with strawberries and quinoa, but I’ve never tried asparagus in my salad. Can’t wait to give this a try! By the way, the pictures are gorgeous! Love warm salads! Especially for this weird in-between weather we have going on! Your pictures are beyond beautiful. I just bought a bunch of asparagus last night. Its one of my fav quick cook veggies. Yes, please! So perfect for spring! Thank you so much for that recipe! The pictures are absolutely beautiful, better than in cook books! Keep up the good work, that inspires me so much! This looks awesome!! I can’t wait to try it out. I always love your recipes but these pictures are just amazing! Gorgeous, gorgeous salad! I am loving warm salads lately, spring still has not shown it’s lovely face yet! The combination of strawberries and asparagus… YUM! Strawberries in salads is one of my new favorite things! This looks delish! The perfect spring salad for this sunny afternoon! Looks great, I must try this! Beautiful photos!!! This salad looks incredible. I cannot wait to make it. Yum! It must be asparagus salad season. 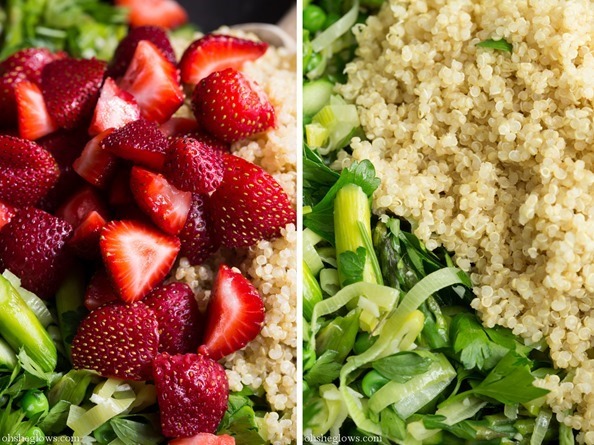 Yours is the fourth recipe I’ve seen this morning using asparagus and strawberries in a salad! Must be a great combo for a reason. This looks so refreshing! Will have to make it soon. This looks and sounds wonderful!! Yum!! Just made this for lunch and had it over a bed of spinach. I didn’t have any leeks but I thought they were green onions in the picture anyhow and it still tasted great. Yummy warm spring salad since we got a few inches of snow today! I don’t think I’ve ever came by your blog and saw something that didn’t look amazing. 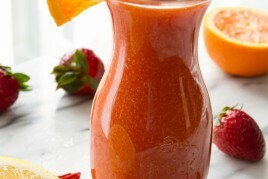 This looks delicious and perfect for spring! I wish I had some for lunch! Yum! So much green color! Perfect to raise our excitement for summer! Love asparagus. Have some in the fridge. Love the Anthro plate. Have some in my prop closet. What a pretty, green, lovely spring salad! Ooh this sounds lovely Ange! Tell Eric great call on the hemp and pumpkin seeds. Like you, I don’t consider asparagus one of my fave beggies, but I’ve also been getting my fill of it lately, mainly because it’s (almost) in season! Beautiful pics! How come you have strawberries already?! I’m so jealous. I can’t wait til I see them at the farmer’s market. Then I’ll be making this salad! What a gorgeous salad!! I am loving asparagus right now! This sounds amazing! I love asparagus but didn’t know all of those stats on it so thank you for sharing :) I’ll definitely be trying this recipe soon. no mention of asparagus one downside for part of the population:asparagus urine. it appears as though only some people have smelly urine after they eat asparagus (they don’t seem too clear on exactly what causes the smell). it also appears as though only some people are able to smell asparagus urine. both ‘skills’ are likely genetic and don’t always go hand in hand in the same person. since i’ve probably only eaten asparagus once or twice in my life and only found out about all of this within the last week, i sense a personal experiement in the works! Thank you for sharing the info about asparagus. I love them but haven´t had them now as a RAW VEGAN! Love your pics though :) Have a Lovely day. Hugs from Amsterdam! 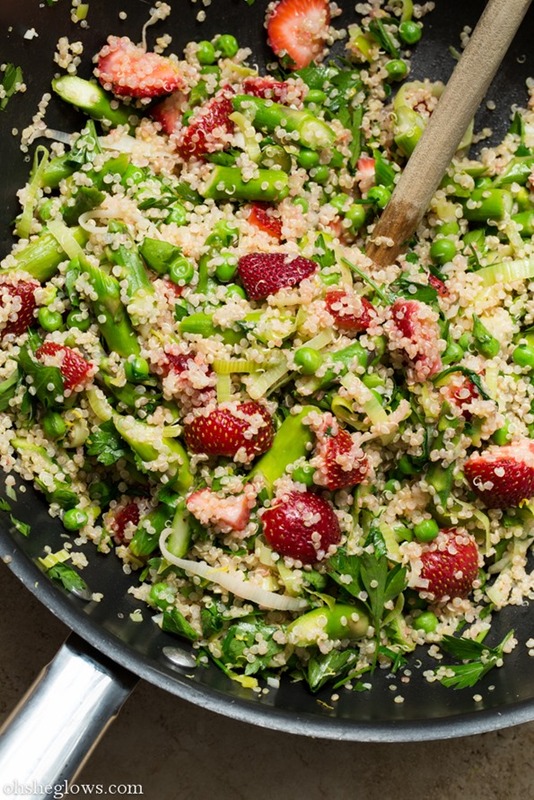 Strawberries and quinoa seems like quite the delectable spring combination! Thanks for the asparagus cooking tips. The salad looks filling and easy. Love it. Love everything about this salad! Thanks for sharing. 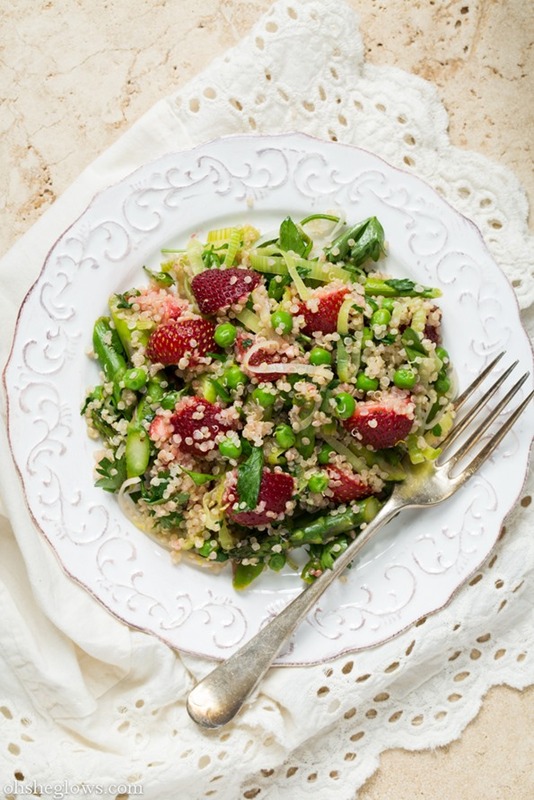 Peas, strawberries and asparagus all in one pretty spring salad that can be eaten hot or cold….fabulous!! I recently started reading your blog and have already made a handful of your recipes…all of which have been so good! I found out two years ago that I’m allergic to dairy and decided a few months ago to try out vegan. I’m absolutely loving it and feel better than I ever have; so now I’m trying to get my husband on board but he is super against tofu (I try to explain to him that there is more to being vegan than just eating tofu!). Anyway, I saw this yesterday and had all the ingredients at home so I whipped it up last night and it was AMAZING. And best of all…my husband LOVED it! I found your recipe for the crispy tofu and going to try that on him next…fingers crossed I’ve got him converted! Thanks for making my switch to vegan so easy with all these amazing recipes! Hey Rebecca, Oh I’m so happy to hear that it was a hit! Thank you so much for letting me know & goodluck with all of your vegan goals! I am SO excited for this meal Ang! I just hit up my farmers market and I scored fresh peas! This meal will be perfect for them. Thanks for such a perfect Spring dish indeed! A friend sent me one of your blog posts and I love it, so here I am visiting your site. I can’t seem to find a spot to sign up to be on your mailing list though. Do you do that? I would love to join if you do. I’m not much of a FB user so would love to receive your posts. Hey Clare! Thanks for your kind words…so glad you found the blog! As for signing up, yes you certainly can. Do you see the icons at the top right sidebar of my page? There is one for email (to have my posts mailed to you) Hope this helps! Oh and you can also subscribe by RSS there too. Your photography is amazing, everything looks so sharp, vibrant and fresh. I also like the idea of pink quinoa being potentially “concerning”. Yum!!!! I made this today and it is soooo good! I love how the strawberries add a pop of colour and also some nice flavour! Thanks for another great recipe! Well….Angela…you did it again…..really tasty….will definitely make it again and again. 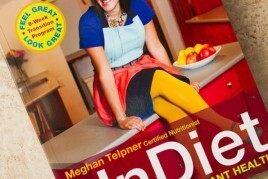 I am so looking forward to your cookbook. I wanted to ask you, at the beginning of last year, I subscribed to a newsletter with your blog but never received any newsletters. Was that something that was put on the back burner???? Just made this for dinner! So amazing!!!! I brought this to a Spring potluck lunch at work today and it was a hit. I have several comments on how pretty it looked and how tasty it was. Many commented that they would have never put strawberries and asparagus together but it all went together very well. thanks for the timely post! I made this and it was/is DELICIOUS! both hot and cold! So glad you enjoyed it Vanessa! YUM! Made this last night. I was a little worried that I wasn’t going to like the warm strawberries, but it created a perfect addition of flavour and looked beautiful! I also added some edamame to the mix…. One question for you: My boyfriend loves everything that I make, including this salad last night…. but he’s always so hungry after! Do you have this problem with Eric? Any tips? This looks super yummy! Love your blog– the pictures are gorgeous! You make being vegan and healthy look so accessible. It’s kid approved! Just add a few extra strawberries on top, chop the asparagus into small pieces, and they think it’s a SPECIAL dinner :) At least my three little ones (6 and under) did… The parents enjoyed it on a bed of mixed greens. Wonderful recipe! I love the colors, too! Great! I’ve never tasted quinoa but your photos make me want to rush and buy some..Beautiful..
Can bulgur be substituted for it? This is SO DELICIOUS! We had asparagus and strawberries in our produce box this week — thanks for the great use of them! I’m keeping this one for future dinners! I made this for dinner last night…..soooo delicious! My 17 year old daughter loved it as well! This salad was delicious! This is the first of your recipes that I’ve tried and won’t be the last. I’m new to cooking after years of eating like crap. Throw in trying to eat vegan, and I’ve got a big ole challenge on my hands. But I am now confident that I can make delicious meals thanks to you! And someday I might get crazy and actually cook for someone other than myself. I send much gratitude to you. Delicious. It’s a mouf party. I added chopped almonds (dry roasted no salt). Thank you! I just made this salad for an early lunch and I LOVE it. I’m not usually a big parsley fan, but it adds such a nice freshness and actually goes really well with both asparagus and strawberries. Also, I have started subbing millet for quinoa after seeing a few of your other recipes using millet, so I used leftover millet in this salad instead of quinoa. Very yummy! This looks like a fantastic recipe, healthy and filling! I liked your comments on cooking with asparagus, which I have grown to love the past few years. I’ve always grilled or baked it, but recently discovered how much I like it blanched and cooled in an ice bath. It turns out perfect. Thanks for the recipe! I made this for dinner last night, including the strawberries and it was great! I didn’t use oil to sautee the veggies and I only used 1.5 T oil in the dressing. We also ate it over a bed of spinach. Thanks for the yummy recipe! Made this last night (minus strawberries) and it was excellent! This looks awesome! I am always looking for new ways to make asparagus. It is my all time fav! This was great! Made it last night but subbed a1/2 the parsley with fresh mint. Soo good.! This was delicious, I made it with the strawberries but without the peas. Hubby didn’t case for it but baby did. We liked it even better the second day! Wow Angela you did it again! Just made this and it was absolutely fabulous. Used red quinoa and added fresh basil. Loved the strawberries in there as well. Your cookbook cannot come out soon enough! Just wanted to let you know that the recipe suggestion of switching the quinoa for spelt berries changes the salad from gluten free to gluten heavy. Spelt contains gluten. I have Celiac Disease and miss being able to eat spelt. Lovely salad otherwise. Hi Cathleen, Yes you are so right, I totally forgot to put that in. Thanks for the tip – will update it now! I am not vegan but I have a great appreciation for vegan options and the growing diversity of meals that the vegan community is putting out there. My husband and I will be having this for dinner tonight and I can’t wait! So happy I stumbled across your blog! I made this for dinner last night and it was delicious. I can’t wait to have leftovers for lunch today. Thanks! I made this today and it was *fantastic*!!! I’m trying to transition to a vegan diet and working at trying new recipes. I had a business associate here at my home office and I fed him some too..and he loved it as well. Thanks so much! Score! I made this salad last week. It was amazing. Very fresh, with the asparagus and the strawberries, and the dressing was very light and refreshing. Thank you for sharing your wonderful recipes. This is a very inspirational recipe! It doesn’t just look good because of the pictures you have with the article but it looks easy to prepare and very nutritious. Thank you for taking time to make this wonderful salad recipe, I will surely try this! My husband and I loved this salad! I was apprehensive about warm strawberries…but everything went so well together! This is a keeper! I stumbled upon your blog the other night and I cant stop reading it! Tonight i decided to make my first “official” vegan recipe – this was the best salad I have made in a long time! Can’t wait to try more of your recipes – if any of the others are even half as good I will be 100% happy! Made this last night for supper. Hubby was skeptical about the entire salad, but has decided to support my return to vegan eating by eating along with me. He loved it (as did I)! He was so relieved that supper turned out so yummy and while it was satisfying, still left room to munch on a Magical Coconut Bar that I had made earlier in the week. I stumbled across your blog and have become a huge fan in a very short amount of time (I am telling everyone about it!). Onto the next recipe tonight for supper. Thanks Angela! Hi Rhoda, Aw thank you that makes me so happy! I was at Bulk Barn last night picking up a few more things for my growing vegan pantry and was chatting with the cashier about your blog and amazing recipes and two ladies in the cash line behind me piped up to say “I love her!! !” and “what amazing recipes!”. I had to share how cool that was to hear that random strangers know about your blog and that we all feel the same way about what you are offering to the world. Made the ratatouille last night and it was awesome. Tonight is the Roasted Tomato Basil Pesto. Can’t wait! When our local asparagus farmer opened the sale shack I ran right over to get what I needed to try this recipe. It is wonderful and I’m so looking forward to trying more of your yummy creations! My husband thanks you too, he loves this salad. Thank you so much for this recipe!!! It was fantastic!!! I made it for dinner tonight, and it was one of the best dinners I have ever made! Seriously- so good! That lemon dressing was DIVINE! What else could that go with? Yum! Even my firefighter husband raved about this dish! (I even caught him licking the bowl, which is totally embarrassing!) THANK YOU! It was delicious. Just made it after church and it didn’t take to long to make. You know how after church your first thought is “I”m hungry.” I think the strawberries are not optional though. Yey! Thanks for another great recipe. This website has been a blessing to me and my husband. I made this tonight and it was a huge hit with my husband and 17-month-old. What a great way to take advantage of all the amazing spring produce that’s so organic and fresh right now. We’ll be making this a lot while asparagus and strawberries are in season…and taking it to friends’ houses. Thanks for yet another great recipe! Thanks for this recipe. I tried it tonight and found it to be very tasty and oh so colourful. (My hubby enjoyed it too) My only complaint would be that there was nothing left over to be served cold the next day! ;-) I might double the quantities next time. And there will DEFINITELY be a next time. Just wanted to add that I can’t imagine this dish without the strawberries. Asparagus as a salad is a new taste for me. All things look beautibul and they are full of nutrients also. Love green aspargus and will try it with strawberry! thanks to share!! I love your recipes and have been reading them for a while. I made your salad tonight with a few changes as I have a few food intolerances and I am not vegan so I added a little goat’s cheese feta. I am also in a career change and I am studying nutrition. I have just started a blog and posted my variation of your recipe (but sourced your original recipe). I made this this evening!!! I added kale and baby tomatoes instead of strawberries. Thank you so much for this! I am obsessssssed with your website!!! This is such a yummy salad! I loved it! My husband didn’t care for it and blended it up with water as a smoothie (that’s what he does with all the meals I make that he happens not to like lol) but I thought was divine!! I think you have a knack for salads; I have always enjoyed yours, and my husband (usually!) does too. Made this for Easter lunch- big success, even with the conventional eaters in the family! My hubs doesn’t like quinoa (trust me, I didn’t know this when I agreed to marry him. ;-) ) so I’m thinking about a sub. Do you think wheatberries would work? Farro? I’m eating this right now, and it is soooo delicious. Put some hemp seeds on top for a little extra protein as suggested, and they go great. I made this last night and wish I had made a triple batch! Its all I want to eat today. Thank you Angela! I feel like this salad is SO underrated! I make it all the time especially now that its warm out! It is so so so delici!! Made this for lunch – delicious. Sprinkled toasted pecans on top! This recipe looks just fabulous for a fresh Spring meal! I really want to make it for a Mother’s Day – any suggestions of what to pair it with for a a dinner entree? Hi There……Just made this wonderful dish for our Easter meal tomorrow……my husband and I can’t stop eating it…….better tuck it away or there will be not a morsel left for tomorrow. Thank you so much for this recipe, it is perfect! Like a little bi of springtime in every bite! Glad the recipe was a hit, Jenni! I hope you and the fam had a great Easter. This is a winner, perfect for that weird “in-between” time when it’s not quite full-on wintertime, not quite spring. Hi Cindy, I’m so sorry to hear about your stomach troubles! I have heard that it’s important to rinse quinoa before cooking (although some brands will state that they do that step for you). I’m really not sure why you’d still be getting a stomachache when rinsing it yourself at home. I wonder if it’s something else in the dish that is causing the issue, or if it’s just a sensitivity to quinoa? I hope you get to the bottom of it soon! Made this tonight for dinner. It came together fast and was so delicious! I love the lemon zest. Will definite be making this a lot this summer. I might add some chickpeas to make it a little more filling. Thanks for linking back to this recipe recently. I made this yesterday for mother’s day and it was a hit! I can’t wait to try the cold leftovers today. Thanks Angela! Just made this for the third delicious time! My boyfriend did the grocery shopping this week and picked up what he thought was a leek, but was in fact fennel bulb. Grateful to have not been grocery shopping I simply said thank you and used it in the recipe just as you would the leek. It turned out great! So good! Parsley has never excited me so I substituted MINT. Along with the peas and strawberries i thought mint woul work…it did! Loved it!! 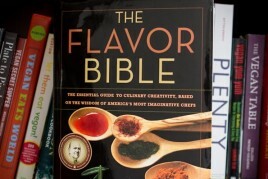 I was really intrigued by the ingredient pairings and the rave reviews won me over. We must be the odd ones out as my husband and I found it just ok. My toddler wouldn’t touch it (strange since he’s pretty good about eating his fruit and veggies), but it was bedtime so that may have had something to do with the utter refusal. Regardless, it was fresh and we finished it all that evening. Hi! I write for Spoon University at Seattle University, and was hoping to feature your Warm Spring Salad in an article. I was wondering if I have permission to feature your photo in the article and add your name for photo credits, as well as a link to the recipe on your website. Thanks for your note! Would you be able to send this inquiry to press[at]ohsheglows.com? Hey Sara, That’s such a fun idea!! I love the idea of greens and extra dressing…honestly would be amazing I think. Butter lettuce sounds dreamy and crisp but I think most should work? I’d love to hear how it goes if you try it! Previous post: 8 Things I’m Loving Lately – Spring Edition!